While you may think you're building equity as a homeowner, you may not be building as much as you imagined. Most people don't think about the out-of-pocket costs when calculating how much they spend on their house. 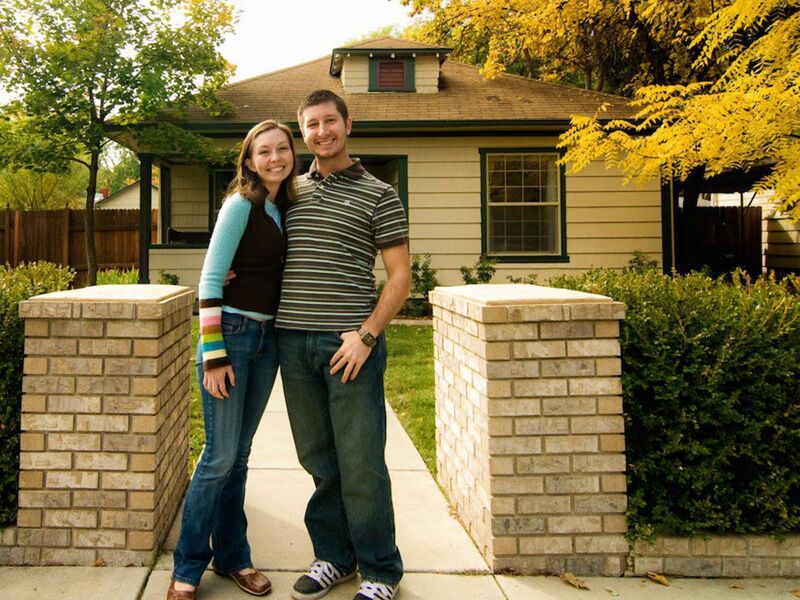 It is true that you are building equity each month as a homeowner. However, the amount of equity you're building is equivalent to the portion of your monthly mortgage payment that goes toward paying down principal. Because most mortgages are structured to have a uniform monthly payment for the life of the loan, in practice, this means that your early payments will consist of more interest than principal. So while you are paying down principal and building equity, you may not be building as much as you imagined. For example, let's say you had a 30-year fixed rate mortgage with an interest rate of 4% and a starting loan balance of $500,000. Your monthly payment would be $2,387, but just 30% of this payment or $720 would go toward "building equity" during the first month. Over the first five years, less than 35% of your total mortgage payments go toward paying down principal (i.e. about $48,000 out of $143,000 of total payments). Scott Trench, director of operations at real estate investment social network BiggerPockets, added, "Yes, equity can make you feel good, but it's not really money you can use freely until you've sold the property. And if you end up selling in a down market, you may not end up realizing as much equity as you expected." While you are building some equity when owning a home, your monthly housing costs consist of much more than just principal payments on your mortgage. In fact, you could say that mortgage interest, taxes, homeowners insurance, homeowners association fees, and ongoing maintenance costs are all "wasted money" that you throw down the toilet as a homeowner. "People often say that buying a home was the best investment they ever made," said Ne ela Hummel, chief planning officer at financial planning firm Abacus Wealth Partners. "The problem is that their return as investors is often worse than they think. When calculating how much they made on a home, most people do not include the out-of-pocket costs they incurred through things like replacing pipes, repairing roofs, or numerous other unexpected expenses that come up. As a tenant, your costs are fixed, but as a homeowner, you are on the hook for any repair that comes up." Those needed repairs to your home may involve you doing a lot of research online to find a solution or simply paying a repairman to remedy the issue. Either way, you're on the hook for investing more time and money into your home when something breaks. The costs of buying and selling real estate are significant, and those costs don't go toward building equity either. "Buying a house entails many transaction costs that add up to three, four, or five percent of the price of the home and sometimes even more," said David Reiss, a professor who teaches residential real estate at Brooklyn Law School. "Many advise that homebuyers should have at least a five-year time horizon or they risk having those transaction costs eat into any gains they were hoping to get out of the sale of their home. Even worse, those costs can lead to a loss, if the local market is soft." On a $500,000 home purchase, three to five percent of closing costs translates to $15,000 to $25,000 - not an immaterial amount of money. When you ultimately sell your home, you may have to pay another three to five percent in closing costs or more. That's why your expected time horizon in a home is one of the most important factors to consider when deciding whether it is the right time for you to buy. A longer time horizon gives your home a better opportunity to realize sufficient price appreciation, to offset those large transaction costs. Leonard Steinberg, president of real estate brokerage Compass, added, "Buying involves commitment and generally, commitment has shown over many centuries to deliver great rewards. It makes sense to buy if you want to commit to a home and location for the long-term. Anyone seeking short-term rewards is better off renting." Are you telling me I should rent? At the end of the day, there are a lot of benefits to owning a home. Especially if you are planning to be in the same place for at least five years, buying a home could provide you with both personal and financial benefits. On the personal side, buying a home will allow you to put roots down and customize a home to your preferences. You'll also be able to save on moving costs for as long as you stay. On the financial side, mortgage interest and property taxes paid could help reduce your tax bill if you itemize deductions on your federal tax return. In addition, if you're using the home as your primary residence, you may be able to exclude as much as $500,000 of capital gains from federal income taxes. In certain circumstances, it may make sense for you to rent over buy. It really depends largely on your time horizon, financial situation, future plans, and economics of your local area. Whatever route you choose, just remember to take into account all relevant factors necessary to come to a thoughtful decision. And next time your Uncle Biff tells you you're simply throwing away money by renting, you can hit him with some knowledge. Read the original article on Life Laid Out. Roger Ma is a NYC-based CERTIFIED FINANCIAL PLANNER™, founder of financial planning firm lifelaidout, and a licensed real estate agent. He works with individuals and families across the country to help them reach their financial goals, live great lives, and achieve peace of mind. Copyright 2018. Follow Life Laid Out on Twitter.